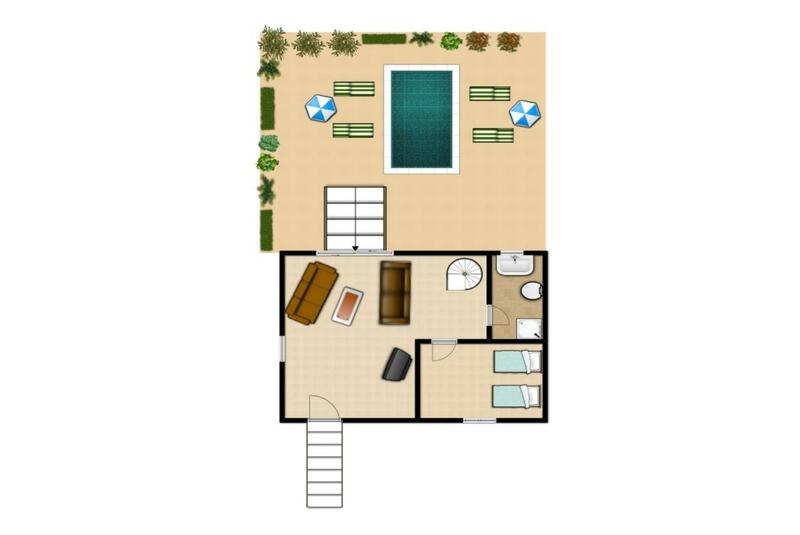 The front door opens into the comfortable living area which has a balcony overlooking the pool. Each floor is connected by a central staircase. 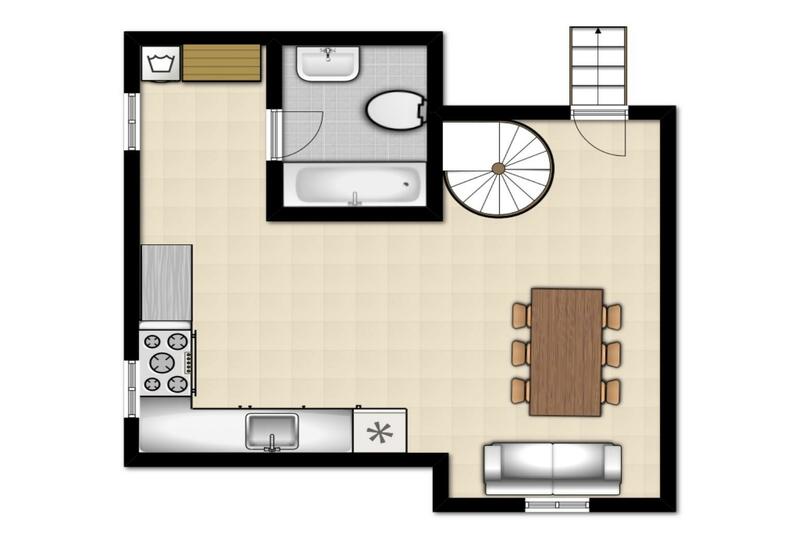 There are 2 bedrooms (1 double and 1 twin) and a sofa bed in the dining area for a 5th person if required. 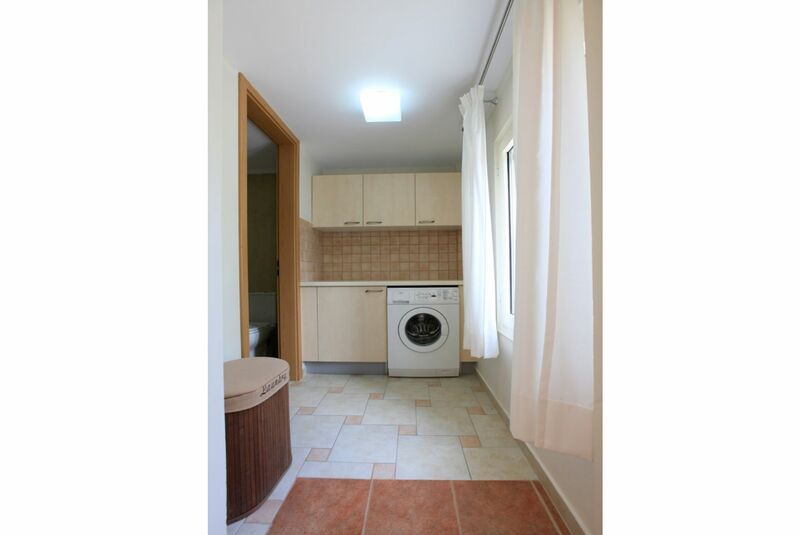 The villa has 3 bathrooms and a laundry room. 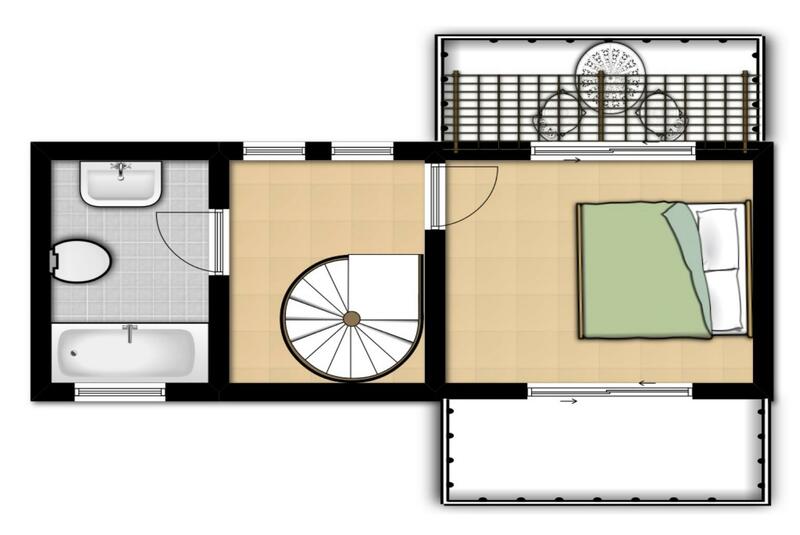 The large kitchen and dining area has access directly to the pool terrace. If an additional bed is required there is 1 sofa bed. 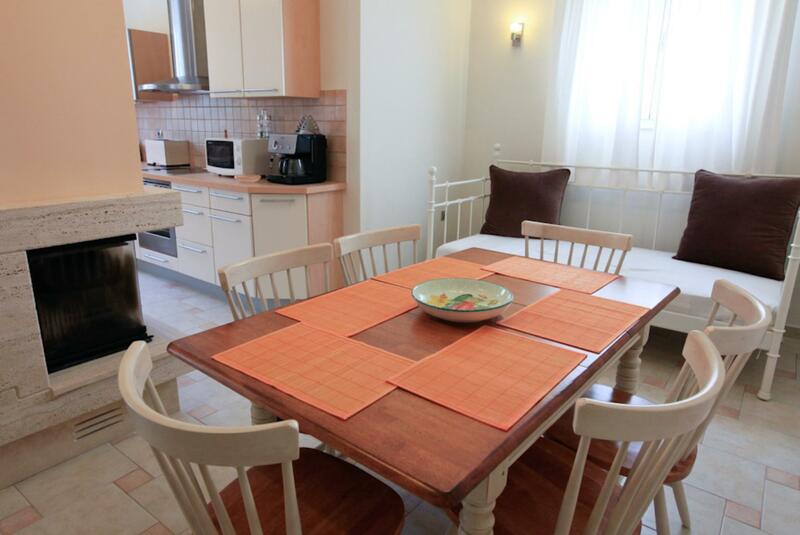 Villa Fedra can sleep up to 5 people. 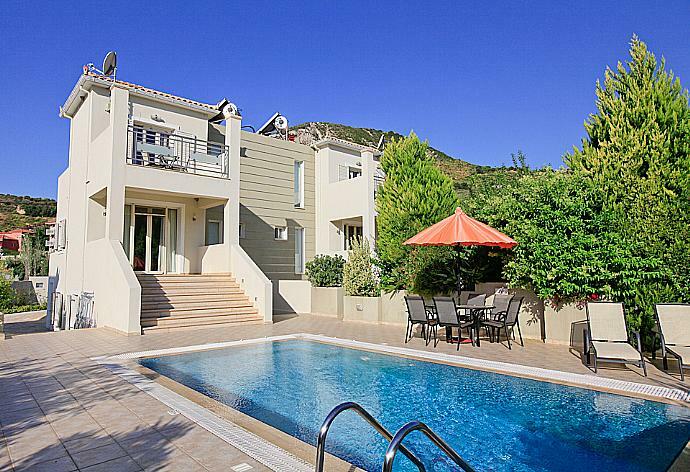 The villa is set in colourful gardens and has a private swimming pool. The swimming pool is surrounded by paved sunbathing terraces and access to the pool is either from the living room or from the kitchen. We had a great holiday and Ada the cleaner who is a character was brilliant and called on us regularly Thimios the caretaker was also excellent. He met us on arrival (11.00 pm), came in 10 minutes when we locked ourselves out, and cleaned the pools up quickly after some fores on the surrounding hills Katelious is a jewel, its very unspoilt, no huge developments, very friendly people and some superior restaurants. We loved it. As always I had the most relaxing week at Villa Fedra. This was my second visit to Kefalonia this year having stayed in the neighbouring Villa Semeli in June. 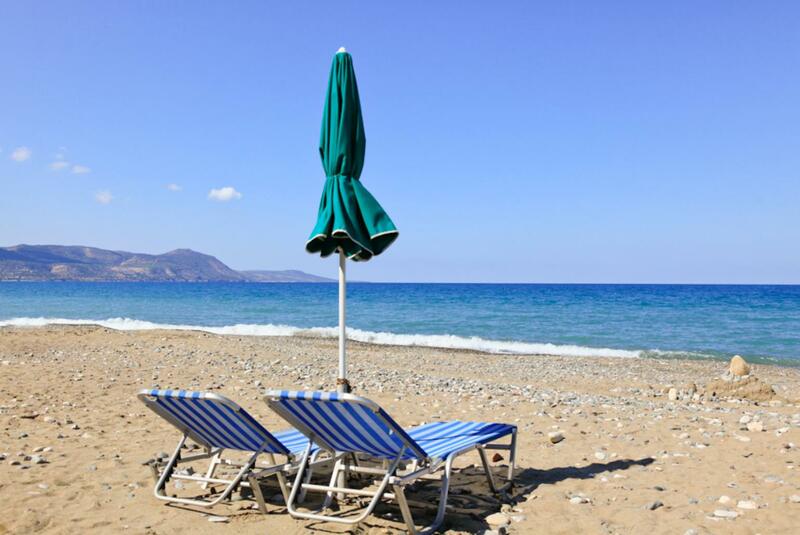 Katelios is a beautiful place and so idyllic and with so much choice of tavernas along the sea front. The villa is truly a home from home. Ada and Thimmios make me feel so welcome (I have been visiting since 2012) and nothing is too much trouble for Ada. She is credit to the Agni team. I am already missing Kefalonia and looking forward to visiting again in 2019. A great villa we really enjoyed our stay. 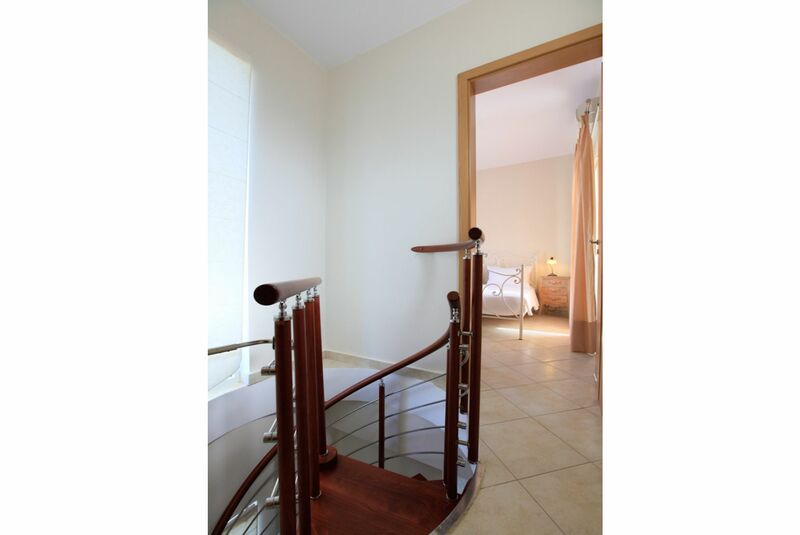 The only other comment I would make is that we couldnt get our suitcase up stairs to the double bed room as the spiral staircase was too narrow, so needed to unpacking it from the living room. Will be back loved the villa. Upstairs mattress was a bit hard. Villa was absolutely beautiful. Great service and maid service. Overall the holiday was great. 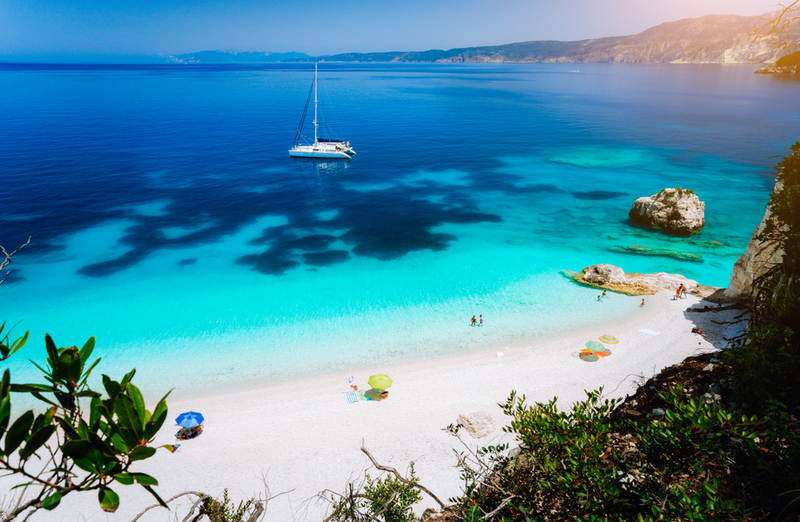 Kefalonia is a beautiful island with many gorgeous beaches. 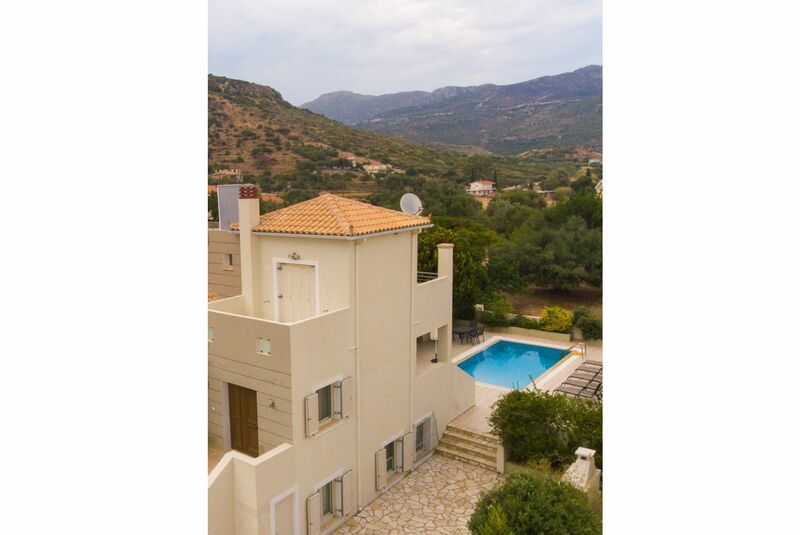 and Villa Fedra was the perfect base for a great holiday - the only problem was a week is too short. 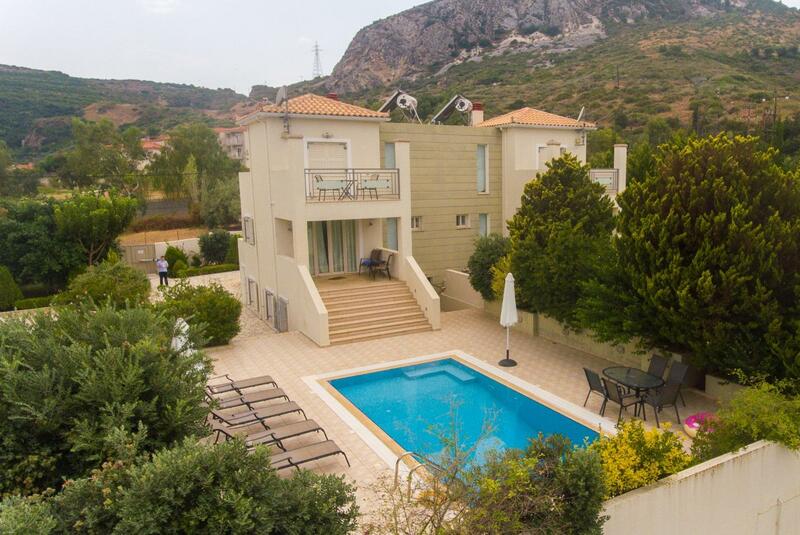 The villa had everything we needed and the little resort of Katalios is only a short walk away so no need to take the car in the evenings. The season was rapidly coming to an end in mid Oct and each night it was a game to guess which restaurants in Katalios were still open I think we were down to two and a bar (which is open all year). However if you like quiet it is the perfect time to visit. Still hot during the day and the beaches were almost deserted. Well definitely be back. Thanks for a great holiday. 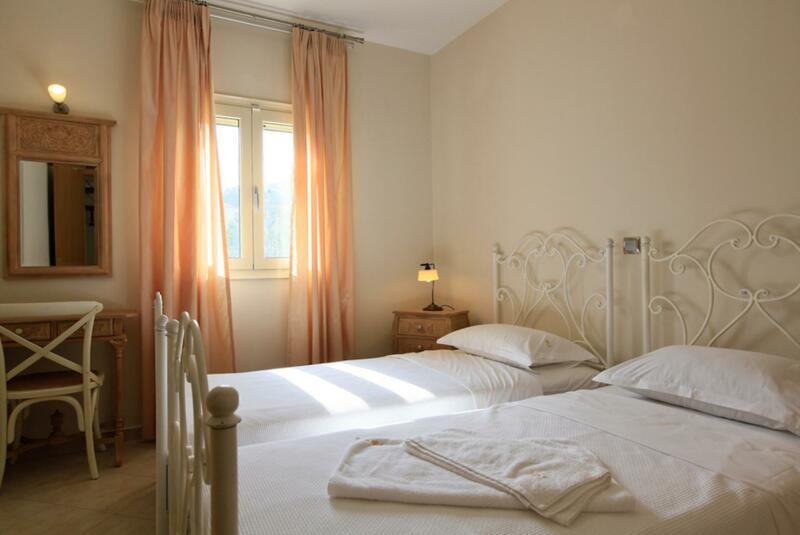 The place is exactly as described spacious comfortable and a really pleasant place to relax. 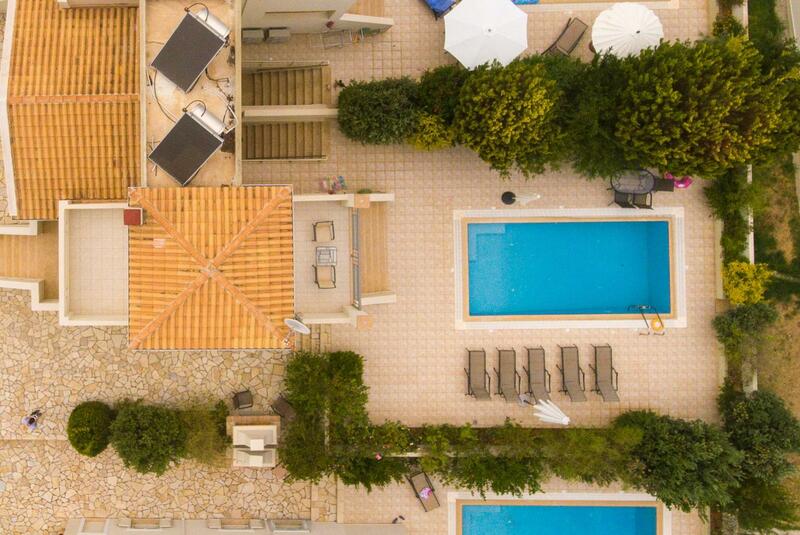 We spent a great 2.5 weeks at Villa Fedra and thoroughly recommend it as base to explore south of Kefalonia. We liked Katelios as it had enough variety of restaurants but was not too big or noisy. Great description of the villa lots of pictures so you have a good idea of the layout and space. 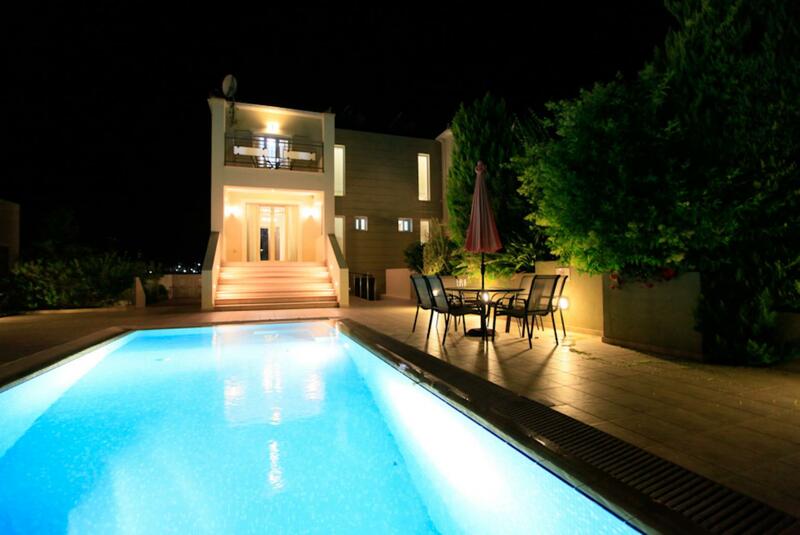 Had a great holiday and would book the villa again if we return to Kefalonia in the future. Property description was most accurate. 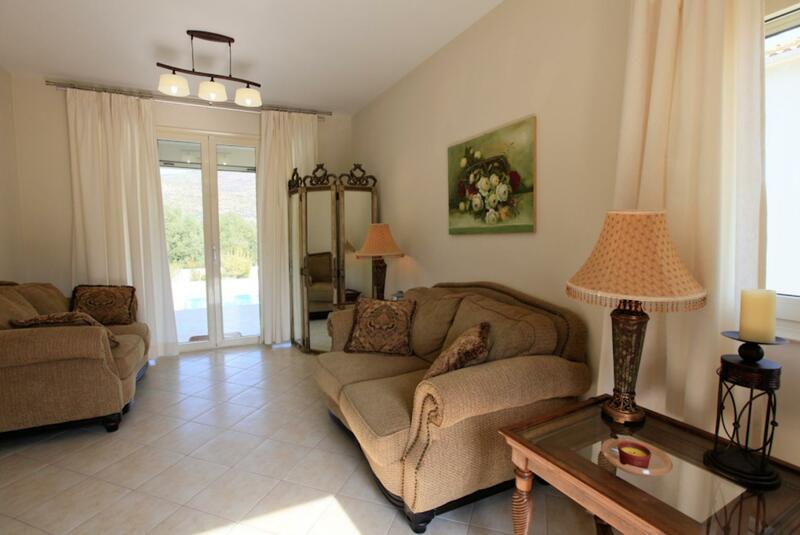 Villa was lovely everything we imagined from your website Katelios was a great place to relax. We would like to mention Ada our cleaner what a terrific person she was so helpful at all times a wonderful lady we could not believe how hard she works. 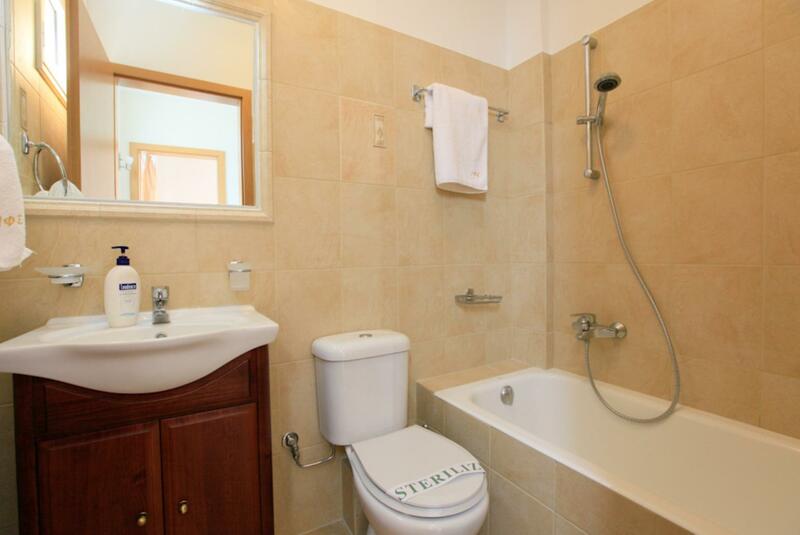 The villa was lovely, very clean and it has everything you could possibly need. The pool was great and Katelios was a beautiful location to stay in. 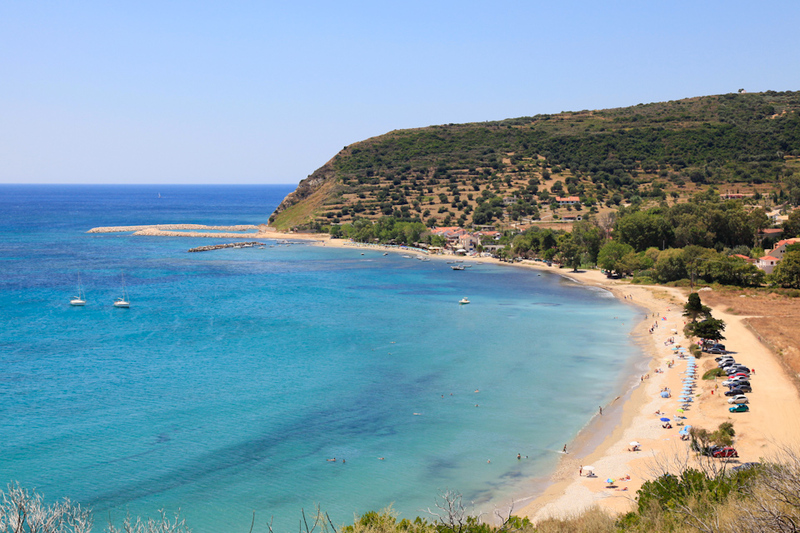 You dont really need a car but we would recommend it for travelling around the island for visiting Skala Sami (the drive there is spectacular) and going into Argostoli, where larger shopping areas are found. We found wherever we ate, the food was great and reasonably priced. We loved our stay here and would definitely consider coming again. Another extremely enjoyable stay at Villa Fedra my third occasion and I am already planning my 2017 holiday. 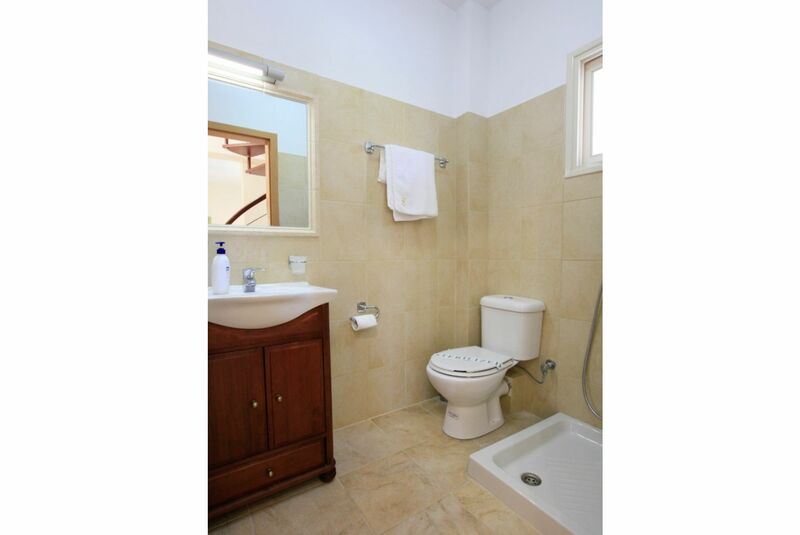 As I travel alone it is a home from home and I feel very comfortable and relaxed in the property. Nothing is too much for the cleaner Aida with her also providing gifts of home grown olives and figs to me and neighbouring guests. Aida as always went above and beyond her job of cleaning the villa. She is so very welcoming caring and kind. Nothing is too much trouble for her. She is a credit to the company and Kefalonia. We had a wonderful time everything was on our doorstep and the villa was lovely. 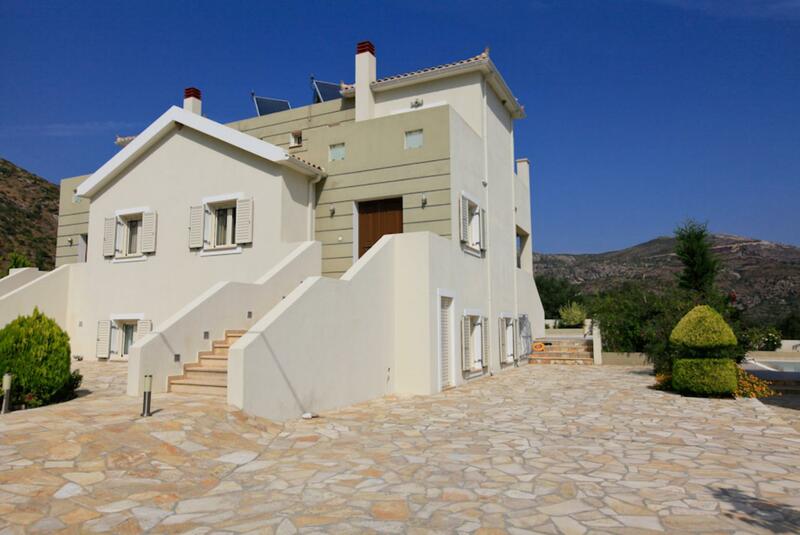 We love Kefalonia, stayed in Katelios village many times, a first for us with your property. 100 percent all the way, from Thimos welcoming us and explaining a few dos and don'ts, to Aida the cleaner, lovely lady who did a fantastic job in looking after us.Your constant contact as promised throughout our stay making sure all was ok. 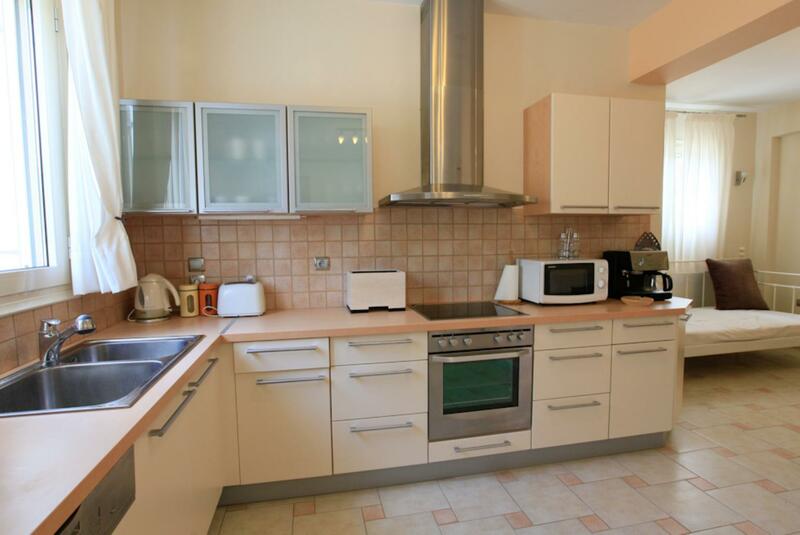 Superb property, well maintained, made us feel at home straight away. Keep the good work up, fingers crossed we can visit again. Thank you. 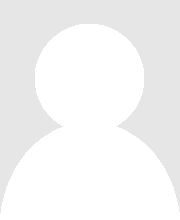 What you see online about your company, service and property is 100 percent accurate. 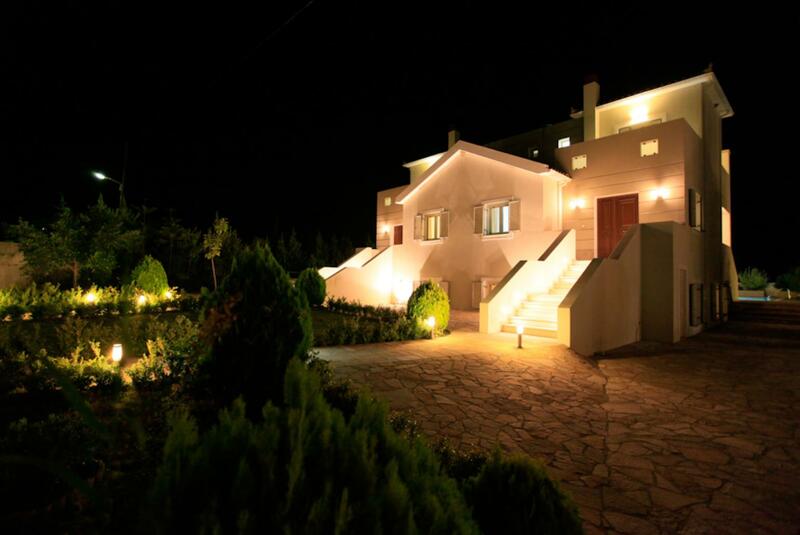 I love Kefalonia and Villa Fedra. 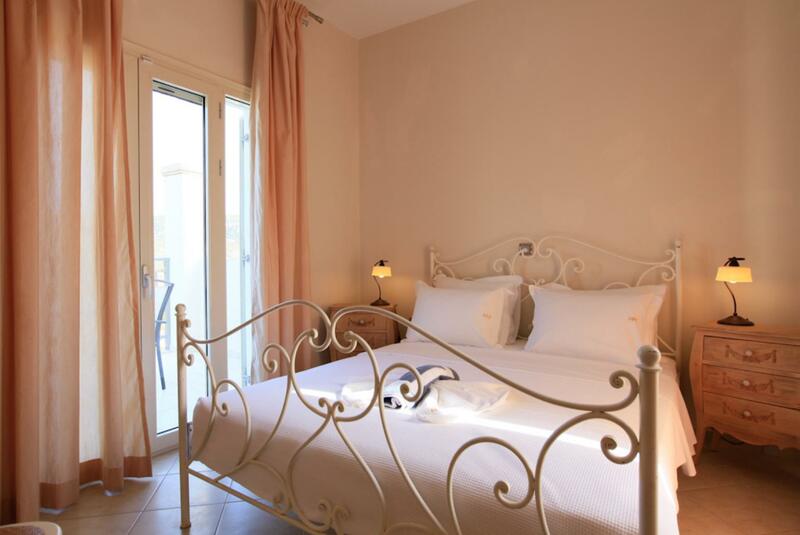 It was my second time staying here having stayed at the neighbouring Villa Ismini once before. It is the perfect place to relax and unwind. 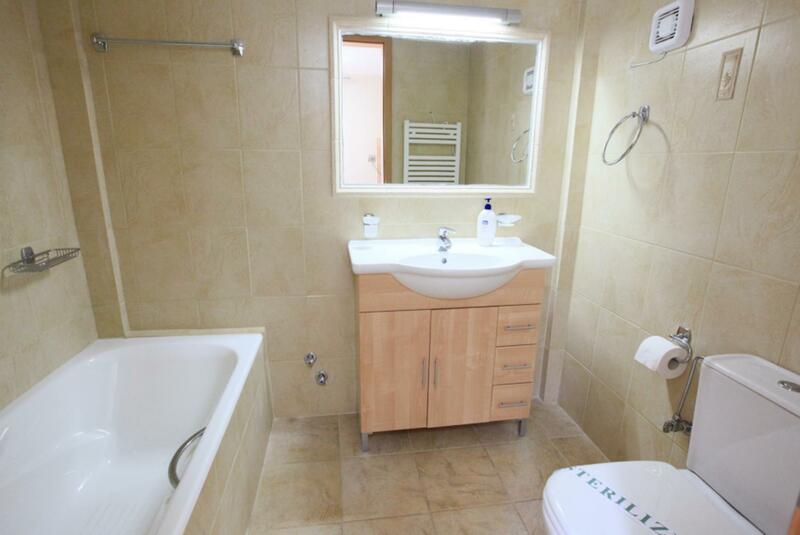 The property is well kept well appointed and clean. Ada is always cheerful on her daily visits and nothing is too much trouble for her. Im already considering my 2016 visit to Villa Fedra. A fabulous much needed holiday. 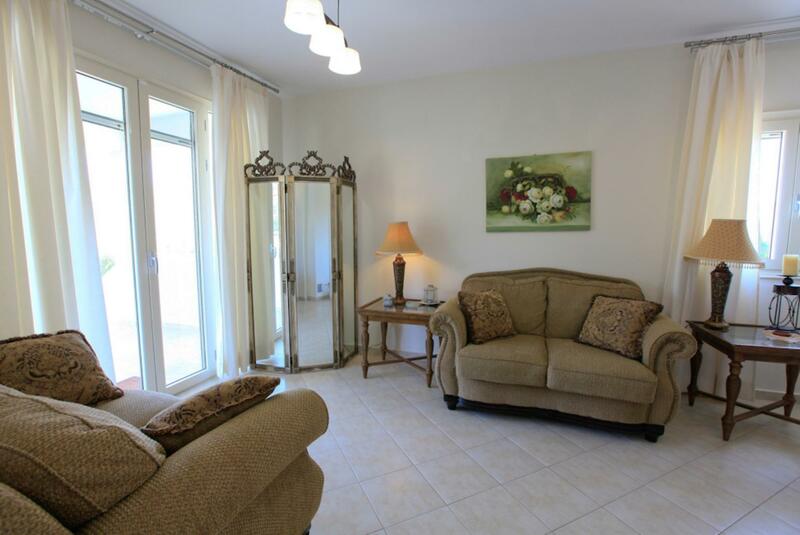 Great villa in a lovely location, inexpensive restaurants with good food at excellent prices. Everyone was so friendly and the sunshine was amazing! I can't rate Agni Travel highly enough. The houses are always of a high standard full information is always given prior to the holiday and you feel that there are people there to help you out whilst you are there should you need them. Taxi transfers were all smooth and on time and the driver so helpful and informative. 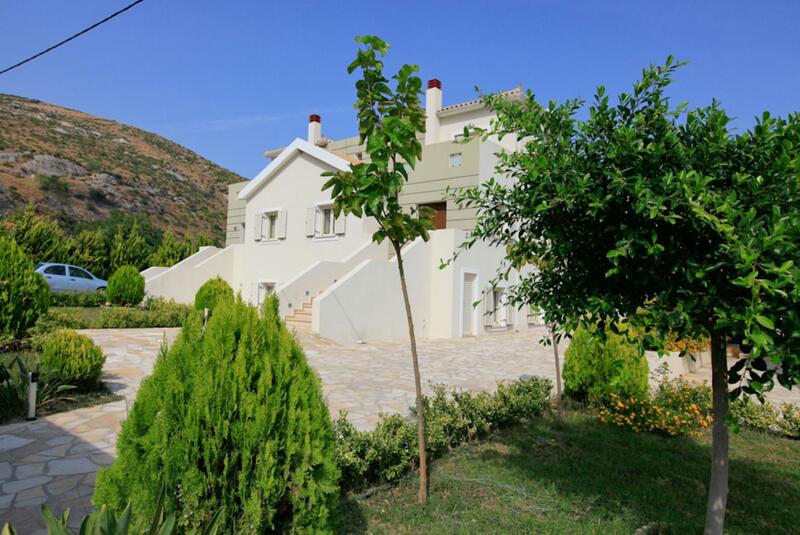 A wonderful villa in a great location. Agni Travel were attentive and helpful. A really lovely holiday thank you. Amazing - could have spent the whole time at the villa. The owners couldn't have been more helpful. 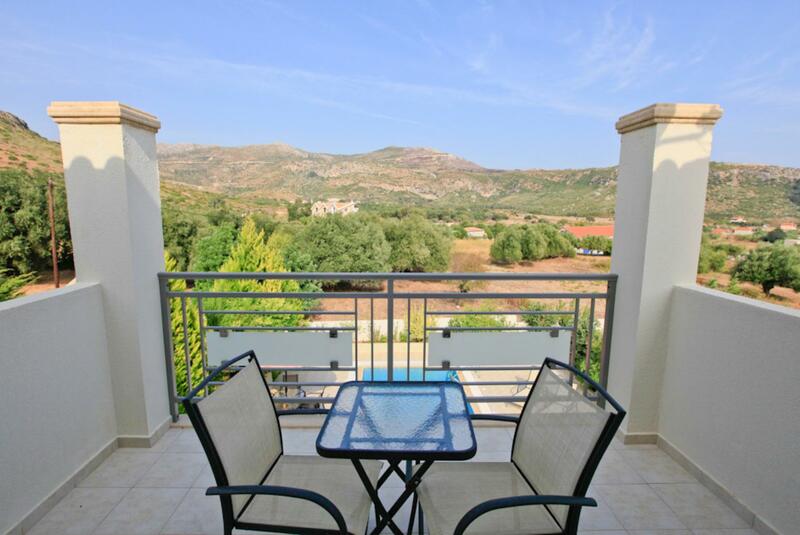 Great, very relaxing, great villa, good location. 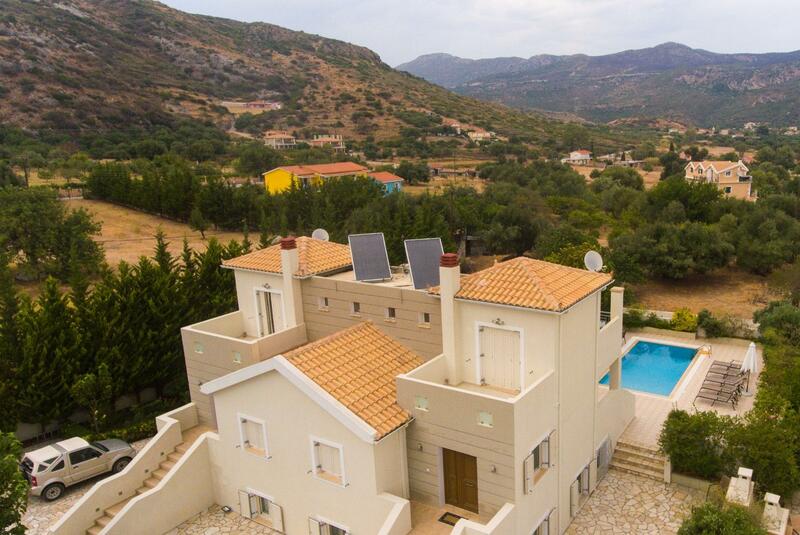 An absolutely fantastic villa in a wonderful location. 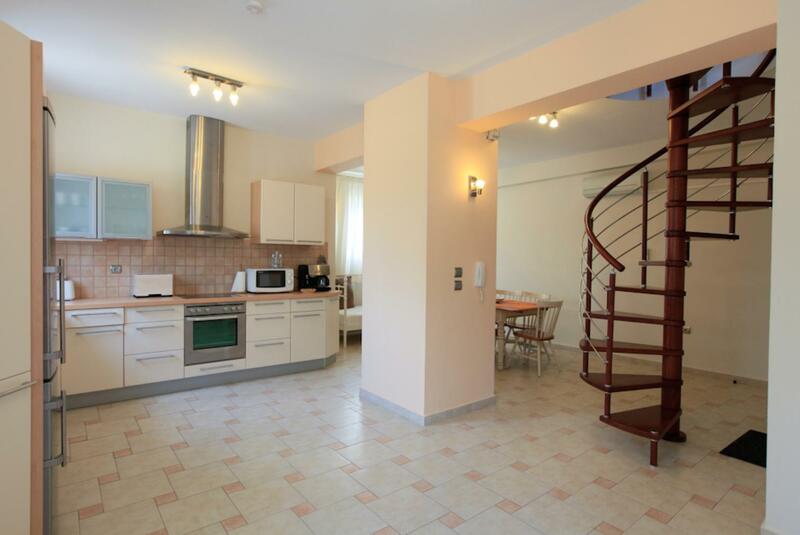 Katelios is a lovely town and the villa was very well equipped and very clean. Would thoroughly recommend. Excellent holiday. A big thank you to the cleaner, who looked after us so well and was so friendly and helpful. We had a lovely time and found the island to be very pretty with all the flowers and the lovely blue water. Everywhere we went, everyone was very friendly and helpful. The villa was lovely and the setting also, we hope to come again next year. The owners; Thimios and Enda were really great, very helpful and friendly. A big thank you to them. The Agni Travel team were also very helpful. Great service from the Agni team and in particular Thimios and Anta.